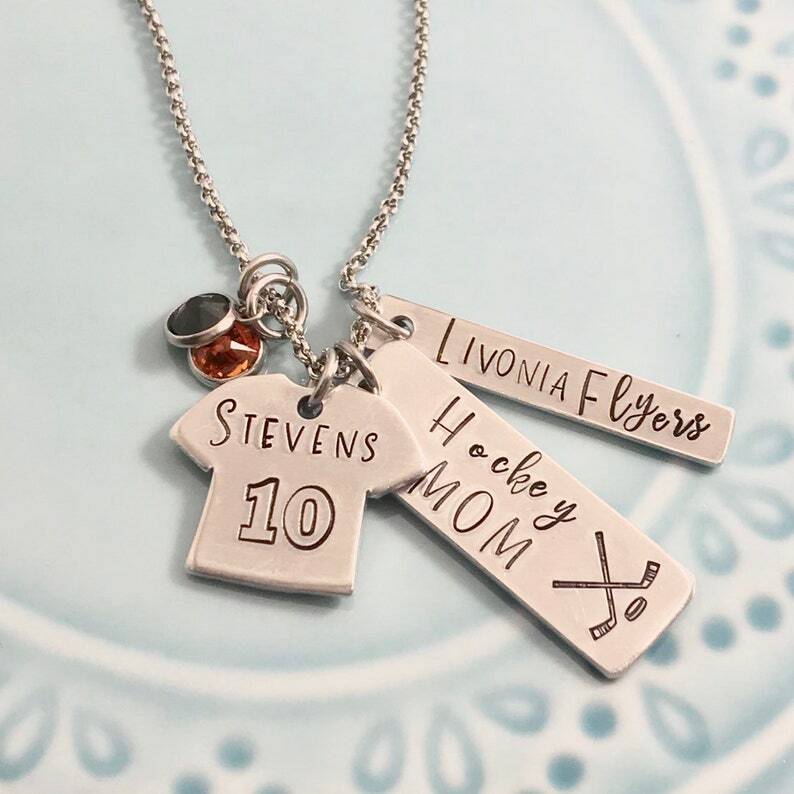 This cute necklace includes three charms personalized with your child’s name, jersey number and team. It also comes with two Swarovski crystal charms in your team’s colors. The jersey charm measures about 1” in length and is made from silver tone aluminum. The hockey Mom charm measures 1/2” by 1 1/4” long. Team charm is 1/4x1”. The chain is a 24” stainless steel rolo style chain. Hand stamping is the art of imprinting individual letters, numbers or designs into metal using a stamp and hammer. It is totally done by hand and no machines are involved. Due to this, it's very difficult to get all letters to be perfectly lined up or stamped at the same depth every time. This adds to the hand made quality of the item and is part of the charm.